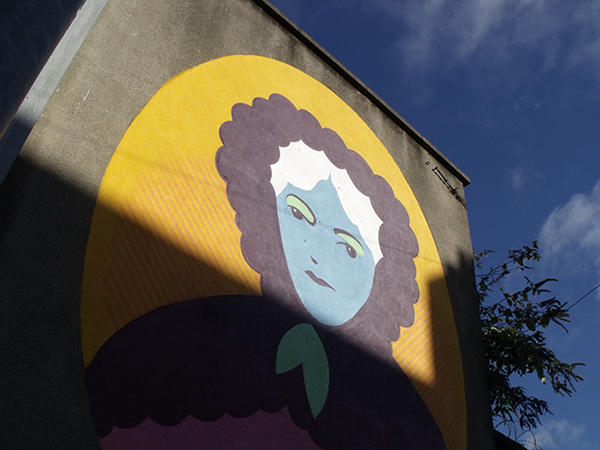 Back in July, Maser, the prolific graffiti artist was commissioned by the Liberties Festival to bring his unique style to the Liberties in an outdoor portrait of Anne Devlin as part of his ‘Stamp Collection’ project that pays homage to a selection of Ireland’s heroes. Anne Devlin acted as housekeeper to Robert Emmet and endured brutalisation in Kilmainham Gaol following the failed rebellion in 1803 but never once betrayed Emmet, who was subsequently hung, drawn and quartered in Thomas Street. Anne Devlin however lived out the rest of her days in poverty in The Liberties. Maser is considered to be one of the most sought after graffiti artists in the country with work all over Dublin but he still has more he would like to add to the Liberties. Much of Maser’s work is informed by social awareness and he uses his work to highlight social issues as well as to educate the public through his own unique style, drawing on the people of Dublin as much of his inspiration. Maser’s portrait can be found on the corner of Meath Street and has been there since July receiving a unanimously positive and joyful response from the community. It would appear that if Maser were to return to add more of his art, there would be little objection.